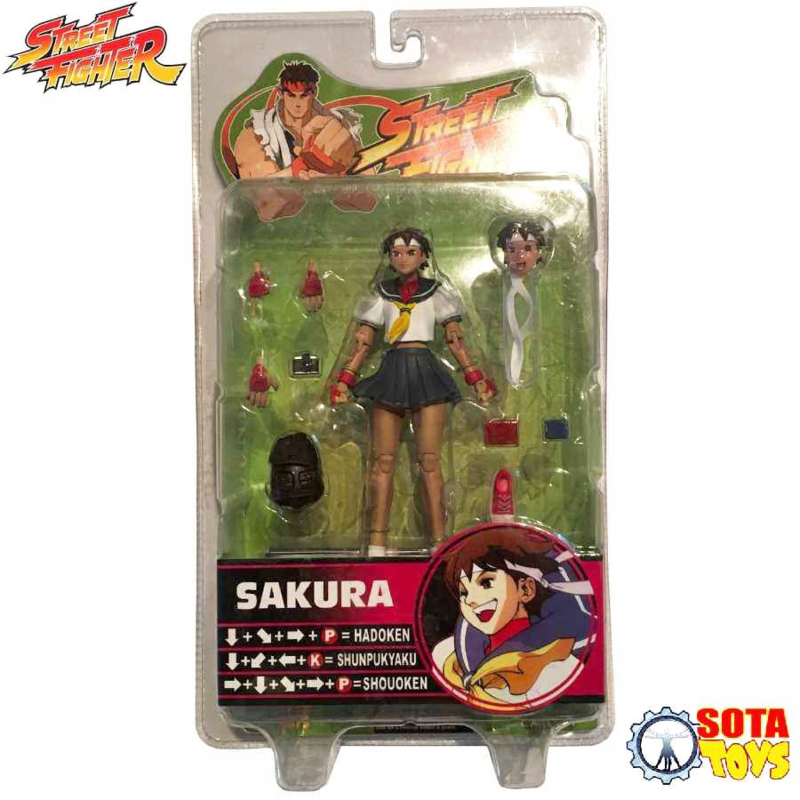 SOTA Toys Street Fighter Round 3 exclusive Sakura dark variant action figure from the classic video game. 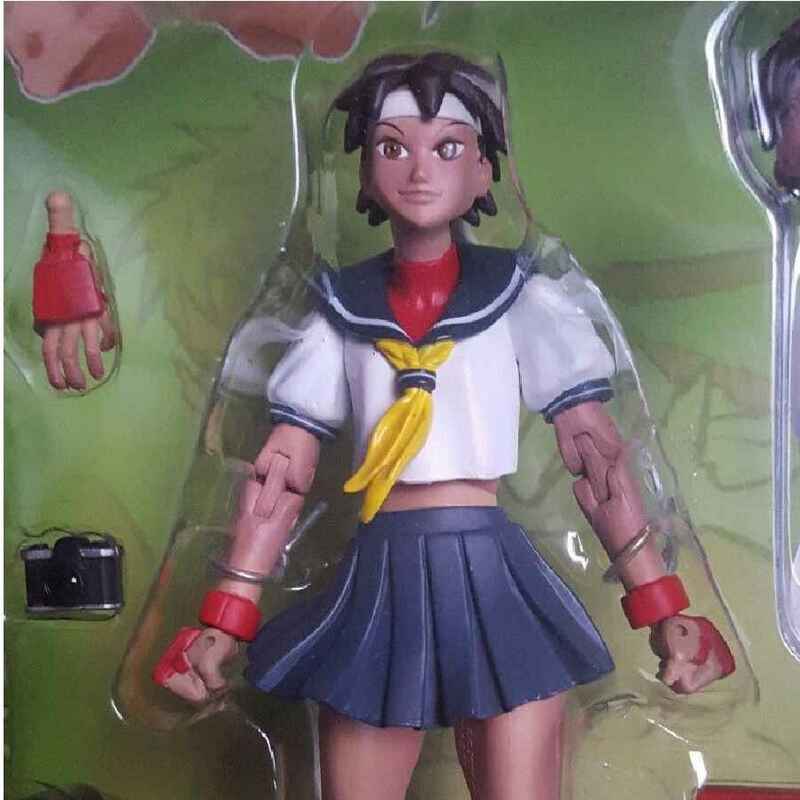 We have managed to get hold of this quite rare Street Fighter Round 3 Sakura variant action figure based on one of the characters from the classic video game. This dark grey variant was only available on the SOTA Toys website as a 15th Anniversary exclusive with only 500 made worldwide. Dark Sakura is also known as Sunburned or Suntanned Sakura due to her sllghtly darker skin tone. There was another dark grey variant with a blue scarf but this version has the yellow scarf and a slightly darker skin tone on her face and elbows and is now quite hard to find. 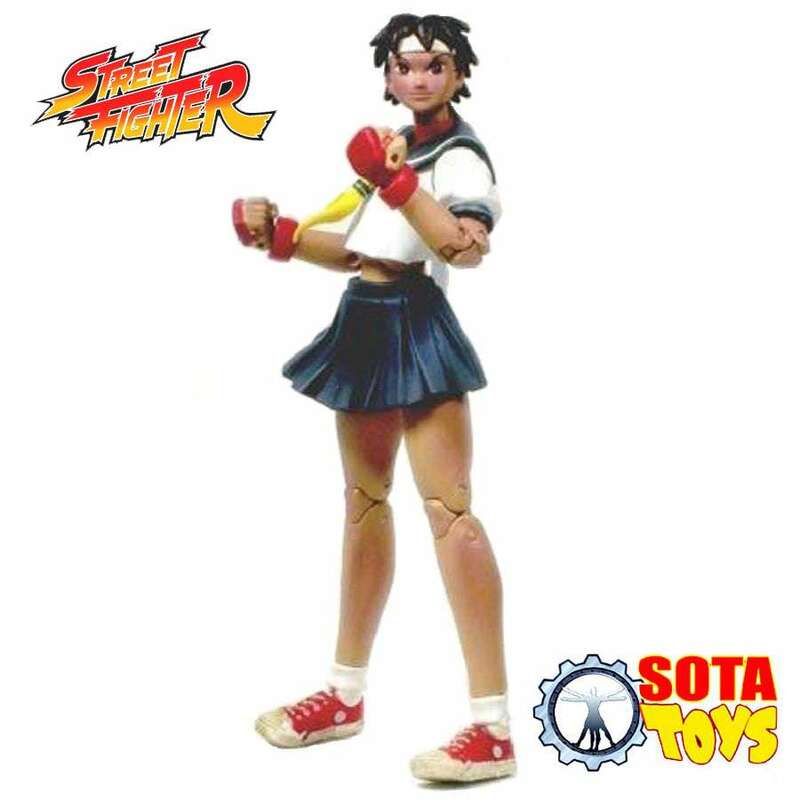 SOTA Toys meaning State Of The Art Toys is no longer in business and was sold in 2006 so this figure is now a rare collectible. Standing at approx. 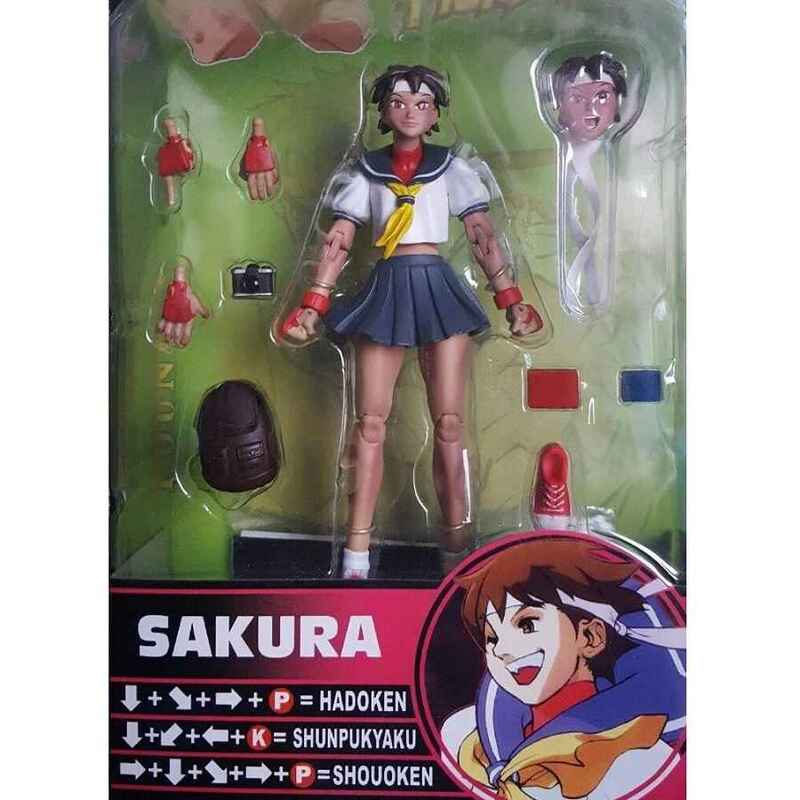 5.5 inches tall, Sakura has various points of articulation and comes complete with an additional head sculpt, three extra interchangeable hands, a camera, backpack and more.